All India Institute of Medical Science (AIIMS), Rishikesh has released the notification for the filling up of 16 posts of Assistant Nursing Superintendent. 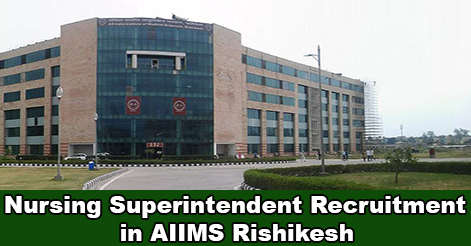 AIIMS Rishikesh invites online applications from suitable candidates for the post of Assistant Nursing Superintendent. Interested & Eligible Candidates may apply online from 15 Feb to 30 April 2019. B.Sc. Nursing (4-year course) from an Indian Nursing Council recognized Institute / University. B.Sc. (Post-Certificate) or equivalent such as B.Sc. (Post-Basic) (2 Year course) from an Indian Nursing Council recognized Institute/University. M.Sc. (Nursing) from an Indian Nursing Council recognized Institute / University. 06 years’ experience after B.Sc. Nursing / B.Sc. (Post-Certificate) / B.Sc. 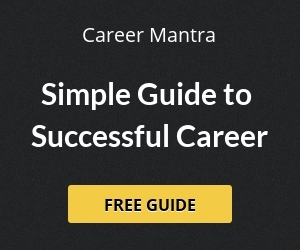 Nursing (Post-Basic) or equivalent from a recognized University / Institute in a min. 200 bedded Hospital / Healthcare Institute as Staff Nurse, out of which at least 03 years as a Ward-in-charge or supervisory capacity. Selection of the Candidates will be based on Written Test/Skill Test / Interview. Interested and Eligible Candidates can submit their online application through the official website www.aiimsrishikesh.edu.in from 15 February to 30 April 2019. No other modes/means of application will be accepted. Help us to improve this article/job posting "Nursing Superintendent Recruitment in AIIMS Rishikesh". We would be glad if you can comment below and provide your valuable suggestions and feedback. If this page have any wrong information/list or out of context content, then you can report us as well.